Rosemary is also known as Mehndi in Hindi and Punjabi. Its taste is bitter, it is very beneficial for our health. It is used to bring flavor to soup, sauce, and so on. Rosemary's Scientific Name is Rosemarinus Officinails. Rosemary plants are 4-5 feet tall, it is a plant grown in the Mediterranean region. It is known as Gulmehindi. Its flowers are blue, it is the only species of the mint family. It is one of the herbs found in the kitchen. Rosemary is very beneficial for our body, it is helpful in reducing inflammation, such as pain, which increases with age. 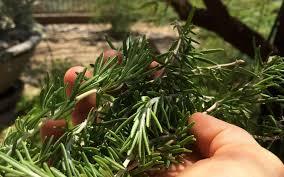 If Rosemary is brought to use in everyday life, then we will get much more benefits. 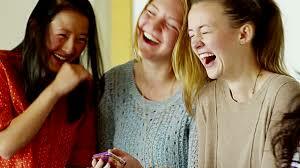 Nowadays, the mood of people in the running life style gets spoiled on small things, people are living tense lives. But the fragrance of Rose Mary is so good that it keeps our mind calm and keeps us stress free. Nowadays, there are also many types of room freshners available in the market. Many such qualities are found in Rosemary, which protects our body with external elements and many diseases. It contains antioxidant, which strengthens our body's immune system. Rosemary is used to make many anti-aging creams. It has many anti-aging ingredients which help keep our skin healthy. Applying Rosemary Cream does not cause wrinkles on the skin of the face, if something has happened over time, then it gets cured. Toner also works for Rosemary skin. It is also used for treatment of face problems . When the pain in the half-head is always going on, we call it Migraine's pain. Rosemary is very beneficial in this pain, to overcome the problem of migraine, take water in a large vessel and put some rosemary leaves in it and boil it by taking ten to fifteen minutes of water to cure Migraine's pain. .
A special kind of element is found in Rosemary, which is found in carcinic which reduces the increase in memory, it causes the brain to grow faster. Brain disease, which is called Alzheimer's, is not used by its use. Rosemary's fragrance is very good. With its fragrance the mind and the mind are calm. When we do Aroma therapy, my oil is used daily in this too. Rosemary has the properties of antibacterial that helps to cure stomach ulcers. 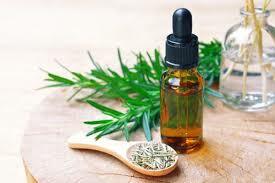 If any person has problems with stomach ulcer then everyday consumption of rosemary is not less than any medicine. Everyday I have a natural remedy for bad stomach, constipation, swelling and diarrhea, it keeps regular stomach and intestinal system is. We must use it once a week. It works as a mouthful freshener, in which it has the properties to remove the stench of broth. Boil the leaves of Rosemary in a glass of hot water and gargling with that water helps to eliminate the mouth becteria. The use of Rosemary reduces the inflammation of the body and in it carcinogens and carnosic salts are found two powerful antioxidants which help in reducing inflammation. It is most effective for many things such as high BP (hypertension), arthritis, and reduces swelling during operation. The heart is also safe with its intake. Rosemary has such properties that help our body fight against bacterial infection. H-pillory bacteria is a very dangerous pathogen that causes stomach ulcers. One such transfusion is the inactivity of this, which helps in preventing the transfusion. This transition leads to loss of thousands of people every year. Rosemary is very beneficial for our body, so there is no harm to it, but if someone is allergic to the mint species, then it should not be consumed.